Editor’s note: This post has been revised to correct for missing documentation. Speaking with parents embroiled in contentious divorce and custody cases in Travis County, Texas is to uncover a microcosm of the dysfunction and unethical practices transpiring nationally in this area of law. Kelly Jones is a parent who not only has had to endure the demands of going through a divorce and custody case—but has done so with the added element of the media’s spotlight covering each development as it plays out in the courts. Her ex-spouse is Alex Jones, who is known for his infamous “InfoWars” media outlet, providing a forum for his bellicose and peddling of propaganda and conspiracy theories. Perhaps this attorney was trying to make such comments in a manner as to discredit the notion that corruption and bias could be present in these types of cases. It would behoove him to scrutinize his own campaign contributions to better understand why someone might be concerned. Examining contribution data made by many of the players in these courts, available at the website for the Texas Ethics Commission, a picture starts to emerge showing ripe conditions that could allow for things like bias to flourish. What is bias? It is defined as prejudice or inclination for or against a group or individual in a manner that is considered unfair. Keeping that definition in mind while taking in the totality of situations that play out in and around a family court environment—indicators come to light that signal the potential for influence between a lawyer and a judge. A type of influence that may exist at either the most overt or subtle levels—that could very well impact a court’s decision-making process especially when reliant upon judicial discretion. What factors might be at play that could influence this type of judicial power? Well, one constant variable that seems to have a strong allure over players in the family law industry is money. Perhaps if we follow the money it may provide evidence of financial trails, connections between players, possible pay-to-play schemes and of course influence—the type that translates into bias coming from the bench! (1) A judge that relies on winning elections to stay on the bench and earn a living. (2) A lawyer representing clients whereby they are reliant upon achieving good results to generate steady business while finding favorable sets of circumstances to accommodate ample billable hours—frequently practices before this judge. (3) The judge presides over two attorneys making requests of the court via motion practice playing out—one of them has given approximately $17,000 to this one judge’s campaign over the past few years while the other hasn’t given a dime. (4) The judge presides over a case where a situation presents itself that calls upon the judge to use discretion and make a decision that would leave one attorney in a more advantageous position than the other—any guess as to which direction the judge’s discretion might take them? Reviewing campaign contributions made by Mr. Wilhite, and his firm, over the past 15 years the following numbers can be charted out and categorized showing the significant portion contributed to judges. While the amount of money may seem like a lot, the lawyers making these contributions stand to see large returns on their investment if business stays good—considering that many of them in that area of Texas are billing clients at rates of $400-$500 an hour in most cases. Another attorney in the region that has a reputation, according to many, of getting overwhelmingly favorable results for clients has invested a lot of money into judicial campaigns over the years, but also among political action committees and other state races. It’s important to note that many of these political action committees work to promote and give money towards efforts that help keep those with similar political philosophies and views in office, including campaigns of a judicial nature. One has to wonder how much value the judges in these courts place on the canons found within the Texas Code of Judicial Conduct, especially as it pertains to things like the appearance of impropriety. Thus with so much money infused by these types of attorneys into the courthouses overseeing custody and divorce cases—one has to wonder how much of the outcomes these lawyers get are based on skill set and savvy—or the acquiring of influence via money contributed. Studies show that roughly 70 percent of the public believe judges are influenced by campaign contributions, and more than one-quarter of judges agree. This is alarming because the legitimacy of the judiciary rests entirely on its promise to be fair and impartial. A judge’s sole constituency should be the law. If the public loses faith in that impartiality, then there is no reason to prefer the judge’s interpretation of the law to the opinions of the real politicians representing the electorate. Often cases involving divorce and custody involve the infusion of outside services—that so very often tend to be unhelpful and sometimes can cause more harm than good. Yet in an industry that pulls in around $50 billion annually, third-party professionals can find streams of revenue flowing out of family courts. 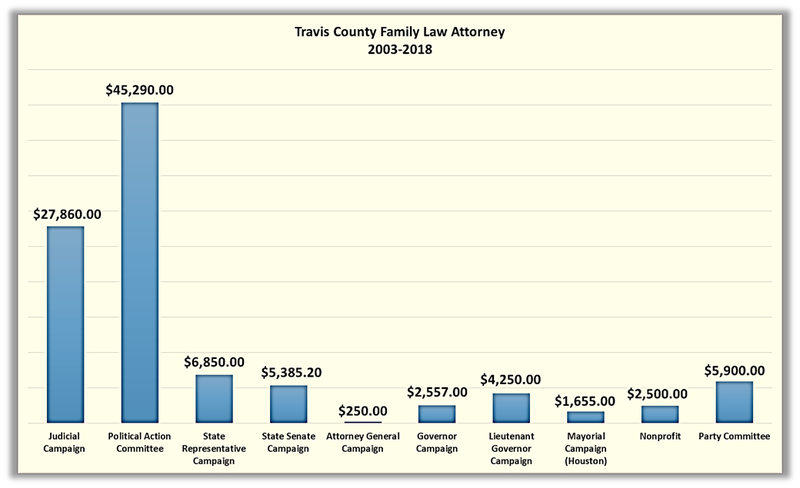 Similar to most places, the services ordered by the judges in Travis County often force parents to attend counseling for themselves and their children during the course of these ordeals—with a price tag and level of professional involvement that seems to increase in conjunction with the perceived net worth of those parties involved in the matter. Discussing the numbers from her experience in dealing with these outside services, Kelly explained that at times she was paying multiple providers—and described the formation of a “therapeutic team” as directed by the court that consisted of at least 10 professionals including a family therapist, a therapist for her son, one for her two daughters and one to oversee the entire process. The bill of costs for such services not only included the sessions that were transpiring—but the internal meetings these professionals were having among themselves. Breaking it down further, Kelly described a timeframe where payments were being made to an entity that oversaw supervised visits between her and the children—where the costs were to the tune of $350 per visit. Sometimes these visits were staggered at different times of the week with the three children—forcing payments to double and sometimes triple. …[I]n two years I was ordered to participate in approximately 800 hours of therapy-related services—costing between $200 and $300 thousand dollars when all was said and done. Dawn Balli is no stranger to the Travis County court system. Her situation is both tragic and one that is the direct result of the adversarial environment created by those profiting from the misfortune of people in these so-called “family” court systems. Dawn has not seen her daughter in two years, now—a result of having been subjected to 8 court filings for modification in her post-divorce phase that has now languished in the Travis County courts for some 13 years. Dawn’s situation in Travis County is indicative of family court systems nationwide—whereby they are often the source of the problem and not the stewards of salvation. Victim parents become what the pit bull attorney says they are to the eyes of the court—when repeatedly put on the record that way with the court—resulting in the horrible truth of the matter, which finds parents and children being destroyed as a result of litigation. Most of us did not enter this adversarial environment damaged—but rather walked away from it that way as a result. 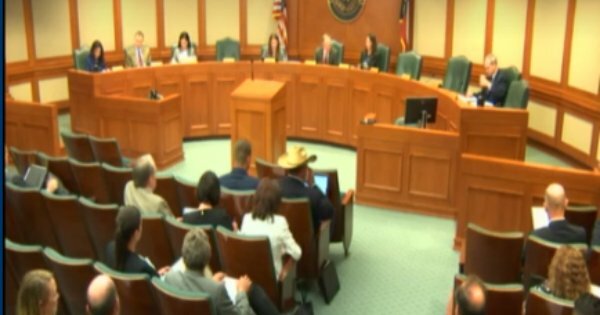 On August 14th, 2018 a number of parents testified before the Judiciary and Civil Jurisprudence Committee of the Texas House of Representatives bringing voice to many of the problems found in Travis County—and elsewhere. Dawn Balli’s testimony can be found at the 1:03 mark and Kelly Jones at 1:45 in this video. When good and decent parents spend extended periods of time in courts that allow for continual campaigns of gaslighting a mother or father—ultimately it will harm and even obstruct the bonds between a parent and child. People who are unfamiliar with the realities of what plays out with parents and children embroiled in the conflicts of family law would be well served to become familiar—especially as it pertains to the underbelly of the divorce and custody industry that often puts its own interest before that of the public’s. Stephen’s "A Broken System" series is collected in the anthologies A Broken System: Family Court in the United States, Volume 1 (Lasting Impact Press, 2018, available on Amazon, and Volume 2 (August 2018). In his upcoming book A Broken System: The Underbelly of Family Law (Lasting Impact Press, April 2019), he delves deeper and examines hard evidence in explaining—and exposing the unethical practices and nature of Family Law and the many situations where outcomes and determination are set up to be rigged -- as experienced by the millions of people who have been entangled within this system. Stephen is an intelligent, decisive thinker who does nothing by accident and leaves nothing to chance. He’s a well-rounded family man, solidly educated and cultured with a warm, vibrant personality and a genuine love of people and the human spirit. He has experience in the area of law, politics, community activism and complex research and analysis. His credentials include working as a paralegal, running as a candidate for public office, managing political campaigns and living overseas and working as a Peace Corps volunteer. Stephen acquired a Master’s degree in Nonprofit Management from Milano School of International Affairs, Management, and Urban Policy at The New School. On Twitter, on Facebook, and his author page on his publisher's site. If your life is touched by the broken system of family court, join his A Broken System group on Facebook. Subscribe to updates from his publisher.